Building links in the modern era requires dedication and a lot of moving parts to come together in the right way. There are plenty of ways to build links: whether you provide guest blogging services or contribute information on sites like Quora, you have several options to consider. 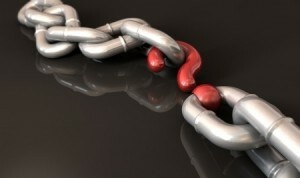 With respect to gaining links from other sites in an organic fashion, however, it may be a bit more difficult. Even if you have plenty of valuable and up-to-date information, you may still find yourself in a bit of a rut with respect to people linking back to you. We’ve put together a list of a few common reasons why this may be happening; with this information, you’ll hopefully be able to rectify the problem. If your website hasn’t been redesigned in years or looks like something that pre-dates the age of the internet itself, then you’ve probably found one of the main culprits behind why others won’t link to you. Pinging links is one part quality and one part aesthetics. People tend to shy away from websites that look older because they automatically assume that the content is older, too. Depending on your niche, the appearance of out of date information may be a huge red flag for sites that would otherwise link back to you. How many pages does your website have listed on the main page? Of those pages, how many provide duplicate content or seemingly similar content about the same idea? This can automatically create a dynamic in which people will not link back to you, for a couple of different reasons. If webmasters are afraid of being associated with a website that might have duplicate content, then they won’t provide a link. Also, sites that smudge their content together in ways that makes it difficult to tell what each page truly is about will suffer in this area, as webmasters won’t know to which page to link. Slow websites are dangerous to webmasters and inconvenient for browsers. For starters, a website’s loading speed now plays a role in how well it ranks. Much like the duplicate content concern, a webmaster will likely avoid linking to your website if it appears possible that your site’s speed could be dragging down your rankings (and indirectly, theirs). Viewers in general won’t wait around for a slow site to load, so it makes no sense for a responsible webmaster to provide a link to a site that most people won’t be able to use in the first place. Nobody wants to link to a website that is inundated with advertisements. Not only does this make your website look unprofessional, but it makes people think that you’re only in it for the revenue. Pinging links to sites with lots of ads is generally frowned upon, so you’ll want to tidy up your ad offerings and minimize their presence if you have too many and are currently finding it difficult to get links from other sites.